Audubon Arizona’s objective is to make sure that the solutions to our water challenges serve both people and wildlife. Water management policies that provide more certainty and reliability for all users are of critical importance to Arizona’s economy as well as its cities, farmers, birds, and other wildlife. As United States Bureau of Reclamation Commissioner Brenda Burman (her federal department manages the water on the Colorado River) highlighted in her recent visit to Tempe, Arizona, if the states cannot come together to stabilize Lake Mead through collective and collaborative agreements to leave more water behind Hoover Dam via the Colorado River Drought Contingency Plan (DCP) we face a potential crisis. But why care? Water in Lake Mead and the surrounding environment is not the only game in town when it comes to birding and valuable wildlife habitat (never mind the nine Important Bird Areas that surround the Grand Canyon and the Colorado River). But really, as a bird and wildlife advocate, why care about the stabilization of Lake Mead? What’s at stake? If Arizona-specific parties affected by DCP cannot get to yes, and instead hydrology catches up to us and Lake Mead declines to critical elevations, water users may look elsewhere for water to make themselves whole. Water resources like groundwater, and existing Arizona regulations that promote sustainable water planning, may come under increased scrutiny and pressure. Arizona’s valuable rivers, streams, and the habitats they provide for birds could be at risk if groundwater pumping increases. Not to mention the negative headlines that are sure to result if we cannot agree on a plan to use less Colorado River water. As opposed to unmitigated shortages that leave people out on the hunt to solve their water supply problems, a much better option is a plan that everyone agrees to. Some of what that currently looks like in Arizona is monetary compensation to use less water, and changes in the way accounting is done on Lake Mead so that willing water users can leave more of their water behind the dam. Through careful negotiation with the affected water users, people can get to yes, and there can be faith in the process and the result. Another reason to care? We’ll take Commissioner Burman’s lead on this one: Because if Lake Mead gets low enough, “dead pool” could be reached and that means no water is getting past the dam. No Colorado River water is flowing out of Mead. That’s a scary scenario for farmers, cities, and wildlife. Commissioner Burman is clearly worried about a situation like that—hence her urging of the states to commit to Drought Contingency Plans ASAP. We’d like to thank Commissioner Burman for amplifying the message on this critical issue. 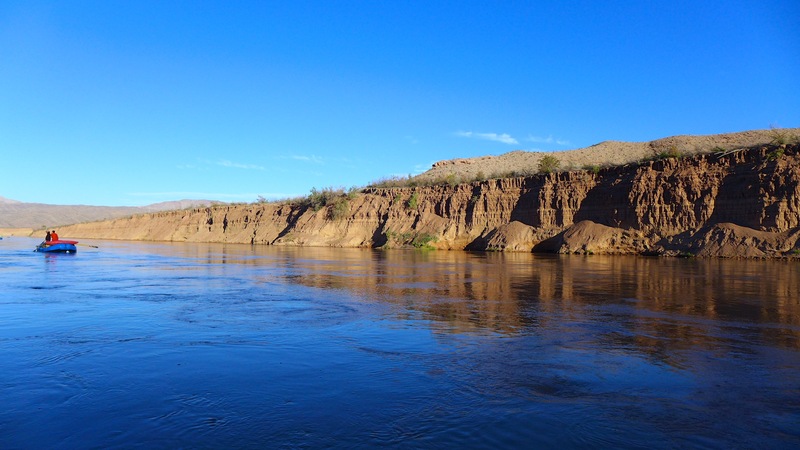 We anticipate more information in the weeks and months ahead from the Arizona Department of Water Resources and the Central Arizona Water Conservation District on progress toward a DCP. Then, it will be in the hands of state lawmakers and Governor Ducey to construct and pass legislation that allows Arizona to participate in getting DCP done. At Audubon Arizona, we’ll be watching and participating as the process continues. Being involved in the conversation when policymakers are talking water—one more way we are advocating for our rivers and the wildlife, habitat, and humans who depend on them. Thanks for the link. You’re welcome. The needs of the natural world often get ignored when folks talk about water.